Super 21 is another interesting BlackJack Game from Real Time Gaming. It uses a concept that might be put somewhere in betwen of classic type of this game and Spanish 21. While it seems like a pretty bad, non-rewarding game to play at first, once you learn about various bonus payouts possible, it turns the other way around. I am used to write about the similarities with classic BlackJack at first, before getting into the different aspects, but this will be a little bit of another story. The only similarity in this game is that insurance pays 2 to 1 and the game is dealt using 52 card decks. Other than that, lets jump into the exciting additional features offered. Dealer hits soft 17, but stands on hard 17. Players natural hand (BJ) always wins – regardless if dealer also hits the same hand. Double Down is available at any point during a hand, but only once. Surrendering is available at any time, even when you hold more than 2 cards. On top of these rules, which might seem quite ”crappy” from the first glance, are additional bonus payouts. You don’t have to place any extra wagers so these are offered for your regular bet, with no fee charged whatsoever. Any 6 Cards (Without going over 21) – instant win. That’s about it regarding unique rules featured in Super 21. 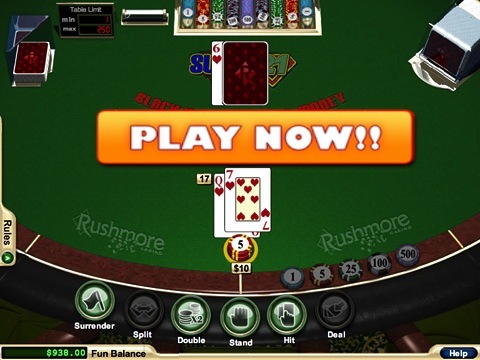 Now lets take a look at the best casinos to play this game at. You can do so either for real or free money, as our advised brands will always allow you to try the games in free mode. Check out the top brands for playing this game below. Lucky Nugget tops this list due to a couple of reasons. The cashout processing times are very reasonable here. Lastly, you’ll also have access to a 24/7 live chat, should you run into any issues! That wasn’t the last reason, though. All new players can also claim a massive BlackJack $1000 welcome bonus!. Join Now – $1,000 Welcome Bonus!